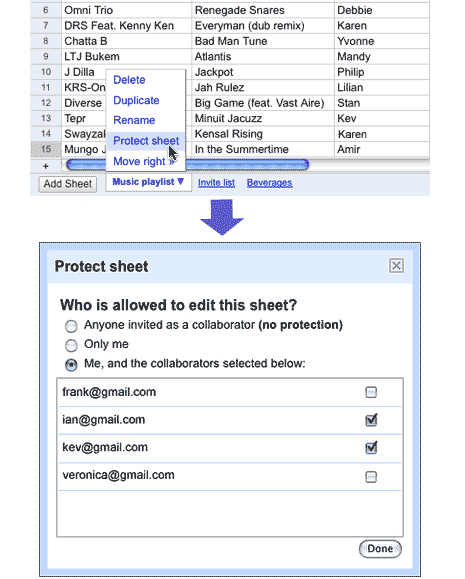 Google Docs Spreadsheet has added a new feature of ‘Sheet protection’. It allows you to invite and select people who can edit and build on content of a spreadsheet document. For example, you have list of 5 friends who can help you build on contents of a spreadsheet file. However, you trust only 3 of making meaningful addition to the spreadsheet file. Any collaborator can edit the sheet. You and specific collaborators can edit.